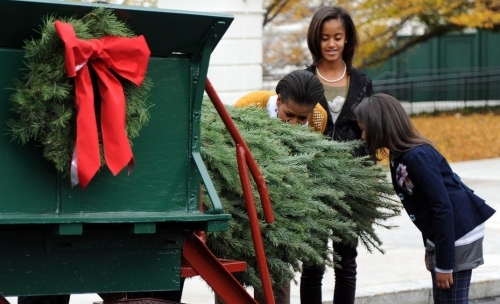 As part of the day-after Thanksgiving day tradition, First Lady Michelle Obama and her daughters Sasha and Malia received the official White House Christmas tree. 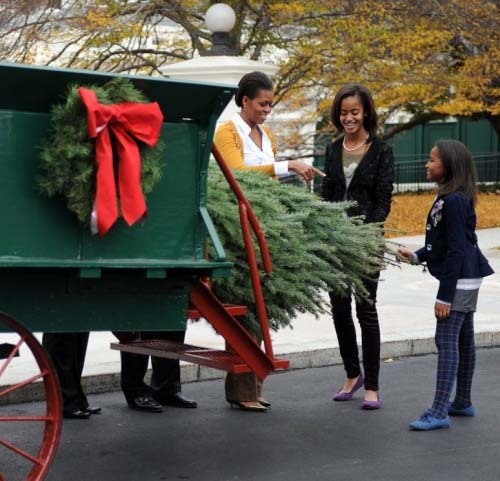 The tree was delivered by horse drawn carriage on November 26, 2010 at the White House in Washington, DC. 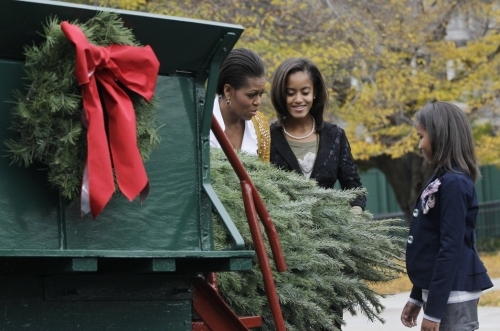 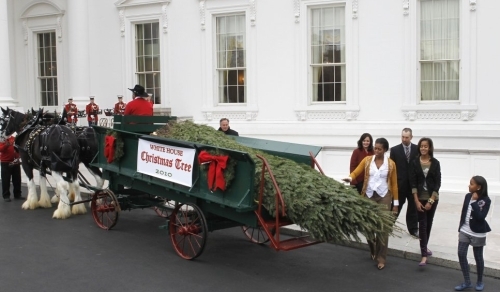 According to the National Christmas Tree Association which has been presenting a tree for the Blue Room annually since 1966, the tree, a Douglas fir from Lehighton, Pennsylvania, was handpicked by White House staff on Sept 28, 2010 from the Christmas tree farm of Christopher Botek, and will be set up in the White House Blue Room to be decorated by floral department staff and volunteers.